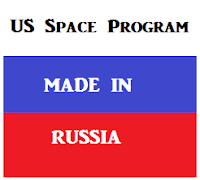 Russian Rocket Engines? Come on America! We need to change this Huntsville! Article Excerpt: "... Space Exploration Technologies, known as SpaceX, is one of several companies trying to fill the void created after the U.S. retired its shuttle fleet in 2011 and began depending on Russia and other countries to ferry astronauts and supplies to the space station. ..."